Select a drive :- Select the burning drive from the drive list box. ~ opens/closes the cdrom drive. ~ select all files to be burnt that are in the burn window. 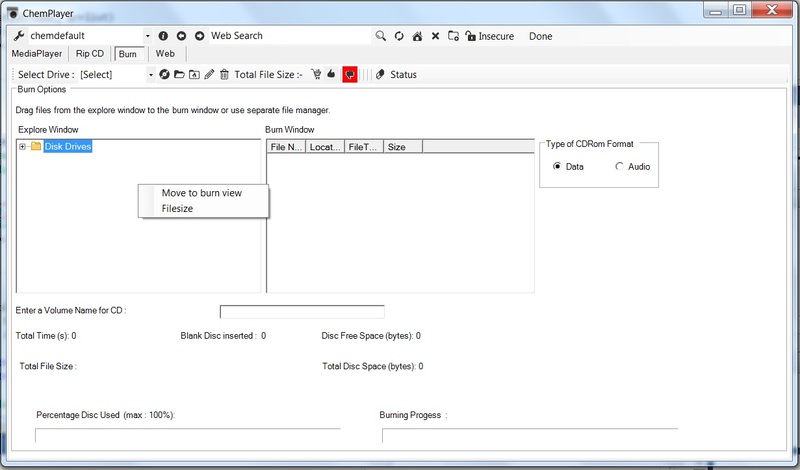 ~ remove the unchecked files from the burn window. ~ check the amount of size of the files current in the burn window. ~ Commence burning the files to a blank disc..
~ stops the burn process. ~ erases a RW disc.